Seven universities were charter members of the ACC: Clemson, Duke, Maryland, North Carolina, North Carolina State, South Carolina, and Wake Forest. Previously members of the Southern Conference, they left partially due to that league’s ban on post-season play. After drafting a set of bylaws for the creation of a new league, the seven withdrew from the Southern Conference at the spring meeting on the morning of May 8, 1953. The bylaws were ratified on June 14, 1953, and the ACC was created. On December 4, 1953, officials convened in Greensboro, North Carolina, and admitted Virginia into the conference. In 1971, South Carolina left the ACC to become an independent. The ACC operated with seven members until the addition of Georgia Tech from the Metro Conference on April 3, 1978. The total number of member schools reached nine with the addition of Florida State, also formerly from the Metro Conference, on July 1, 1991. 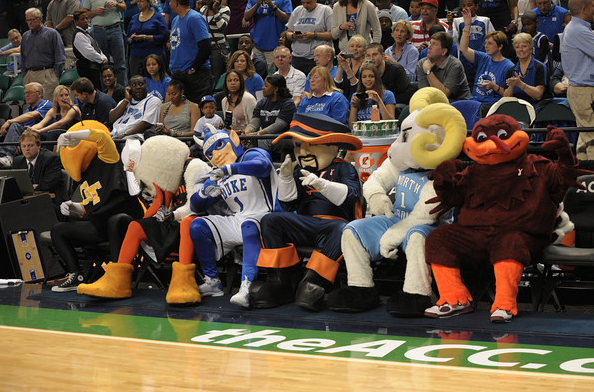 The ACC added three members from the Big East Conference during the 2005 cycle of conference realignment: Miami and Virginia Tech joined on July 1, 2004, and Boston College joined on July 1, 2005, as the league’s twelfth member and the first and only one from New England.